No matter who won the 2016 presidential election, economic changes were bound to occur. The housing market is no exception. With Donald Trump as the current president-elect, the citizens of the United States have many questions about the economy. Whether you are thinking about buying in the future or you currently work as a real estate agent, you may want to begin paying attention to market trends related to the future presidency. Many economists expect that we will see a short economical boost in the first part of the upcoming year, thanks to tax cuts and upgrades to the country’s infrastructure. As the consumers grow more confident in the economy, they are more likely to look toward purchasing a new home. There are two directions the economy can go as trade changes. If taxes are raised on goods coming into the country, it is possible that we will see fewer of them. This has the potential to lead back to recession. Only time can tell what is going to happen, but expectations are all over the place at the moment. Economists warn of a fluctuation in the stock market. With little stability in the market, investments may linger under the hands of corporate figureheads. On a smaller level, individuals may hold tighter to their own investments — their homes. You may see less inventory at the office because people are reluctant to let go of a “sure thing.” You may see this begin to change in the second half of the four-year term. When Americans are confident in their country’s economy, they are more likely to make larger purchases. This means the trade deficit may increase and stresses about financial well-being may decrease. Confidence in the economy may vary from state to state and even county to county based on red and blue affiliation. This means you could see a slowdown in home sales in democratic states and a boost in home sales in those states that voted republican. Clearly, confidence will vary from region to region. This means that as a real estate salesperson or broker, you need to pay close attention to your area’s political affiliation. Local trends may reflect the affiliation, so you may want to learn whether you need to cater to buyers or sellers for the moment. Normal lending will be much more common in the future, according to some economists. The only case in which lenders may back away from the real estate industry is in the event that the new president creates a negative atmosphere surrounding mortgages. A highly litigious atmosphere is not advantageous for buyers or sellers. The nature of mortgage lending and the legal environment in the United States are still unsettled at this time. Again, this is something that we will not necessarily understand until Donald Trump takes office and the new policies begin to unfold. Depending on the new president’s stance on providing financial assistance for areas experiencing natural disasters, buyers may think twice about purchasing a home in certain zones. Federal programs currently provide relief for homeowners experiencing losses due to earthquakes, fires, flooding, and hurricanes. With Donald Trump in office, is this going to continue? Until events like this begin to occur during his presidency, potential buyers may avoid areas prone to natural disasters and terrible storms. With a dollar that is weakened, international investors may look to the United States. Many people consider a Trump presidency to prevent some sort of wild card rather than stability. Additionally, foreign buyers are concerned that they may not be able to enter the United States or reside in the homes they buy. Luxury property buyers are especially concerned in Florida, where foreign buyers are frequently looking at condominium towers. 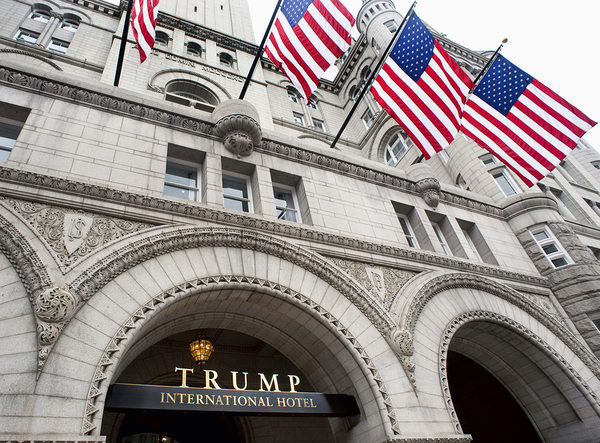 Will we see more Trump properties in the future? Will we see more luxury property sales? What about hotels? The future feels ominous. With fewer immigrants and visitors from other countries coming in, condominium and luxury home sales may change. You may notice less sales and rentals if you live in an area like Miami or Los Angeles. On the other hand, you may find yourself with more inventory if those who say they want to leave the country do. If the Trump administration follows through on its tax incentive promises, the benefits will be best for residents of the United States. This could lead those from other countries to reconsider the initial choice to purchase a home in the United States. Of course, it is much too early to make a complete judgment call. Things could go very well for the real estate market, or we could see some steep changes. Real estate moguls may even be surprised to find that nothing changes. There is not much telling what is going to happen, and all we can do is make predictions based on what the president-elect has told us of his plans. The follow-through will tell us much more beginning in January. No matter the circumstances looming in front of us, there are many ways to combat anxiety or unease as a real estate agent. One of the best ways is to educate yourself. Continuing education requirements can help you put your best foot forward as a real estate salesperson or broker. Contact us for more information about courses that will help you no matter what the future holds. Everybody who hasn’t spent too much time looking at their phones lately realizes that millennials are growing up. Millennials are becoming homeowners, and they need your help. You might think that millennials are out of range because of their desire to seek out technological tools, but your role as a real estate agent is actually still vital in the searching process. This may come as a surprise, but the advancements in technology have only made real estate agents more important to millennial buyers. In fact, nearly two-thirds of millennials confirmed that they would not buy a home without the assistance of an agent. Your role as a real estate agent is to figure out how you can best appeal to the needs of millennials in your community. Even millennials know that digital resources can only do so much for helping them select a home. They want to look at photos and take digital tours, but they also want to see the homes. Millennials need help understanding which features of a home are most important, and you can fill this role. Millennials are aware that they do not have the same understanding of the process of buying a house. These are first-time buyers who have never filled out the necessary paperwork to purchase a home and may not be familiar with the financial details. One of the biggest demands of millennial home buyers is that they want quick contact. You may find that outreach is much more important with your younger clients. For this reason, many real estate agents begin to incorporate text messaging into their contact practices. The rise of social networking and business rating websites indicates that millennials care about reputation. Your reviews are important, but so are your interactions with other clients. One study suggested that about 50% of millennials will rely on information from friends and relatives about a real estate agent. This where performing real estate services honestly and creating a trustworthy atmosphere is important. Millennials are moving in. Are you equipped to help them? Instead of relying on open houses to view potential homes, millennials are more interested in using mobile apps and pictures online to determine if they are serious about buying a home. Overall, your goal is to provide millennials with an environment they feel they can trust. Part of this requires you to become or remain technologically savvy. One of the best ways to do this is to maintain your continuing education requirements. Contact us for more information about real estate courses in your area. In the course of your work as a real estate agent or broker, you might find yourself in a position where you need to make a judgment call. This comes into play when you have a potential buyer asking if he or she can take photos and videos of the house they are looking at. In some cases, this may not be the best idea. Not sure how to handle your buyer’s request? This information may help you. 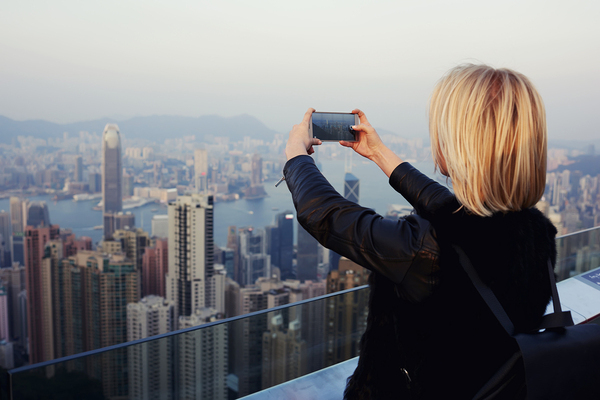 Why Do Buyer’s Want to Take Photos? The importance of social media is not something any real estate agent or broker can afford to overlook. Your prospective buyers want to communicate with friends and family members that they are looking at houses. Every agent understands the necessity of relying on photos to sell a house. Buyers want to photograph homes they like so that they can recall specific colors, layouts, and details. Additionally, buyers may want to use more photos to make a decision than are listed on the agent’s website. So, what should you do when buyers ask? This is the number one rule of doing anything as a real estate agent. If images are to be posted on social media, it is especially important that the homeowners give their consent. Failure to secure this consent could mean that you compromise a sale and lose the owner’s sense of trust. Some owners would see posting of personal belongings on the web to be a violation of privacy. Inform your shoppers whether or not the homeowner encourages photos before you step into the house, if possible. If there are personal belongings the seller does not want photographed, it is essential to respect this. Sometimes sellers are fine with photos so long as they are not posted on social media websites, so make sure your buyers are well-informed. They will be able to share all the photos they want on move-in day. Sometimes it all comes down to you. Is the house free of personal belongings, nearly empty? What does the buyer want to take a picture of? Will this image be sent to a loved one or saved rather than posted on Facebook? Pay attention to the parts of home your buyer wants to photograph, and make a call based on common sense and good judgment. The best photos showcase the room in all its glory. Your buyer may want pictures from different angles unavailable on the listing website. Different types of exterior shots, including those of yard features will make an impact in the decision-making process. Buyers may also want pictures of different features and fixtures so that they can make decorating decisions while waiting for the sale to close. 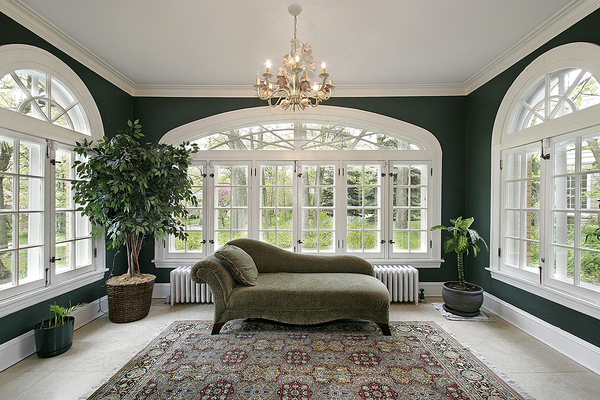 Some buyers simply want photos so they can begin planning their decorations for their new home. It is important not to post pictures of personal items in the home, especially close-up shots. You must also ensure that buyers are not taking photos of the home’s security features or anything that could compromise the safety of the current owners. Technology will always be a part of our ever-changing real estate landscape. As a real estate agent or broker, it is essential that you stay on top of education surrounding technological advances in the industry. Contact us for more information about continuing education courses in your state. We all know that real estate agents are an incredibly helpful part of the process of purchasing a home, providing an excellent resource for anybody buying or selling a home. But one question remains: Is it necessary to have a real estate agent when you are a buyer? If you are not familiar with real estate paperwork, a real estate agent can provide you with the help you need to sift through all those pesky documents. An agent will guide you through the process, ensuring that your finances are not in turmoil. Why wouldn’t you hire somebody who contends with these documents regularly to handle yours? If you are not highly skilled in negotiations, you may find the process intimidating or uninteresting. Ultimately, real estate agents are highly skilled in negotiating with each other, and they have all the tricks of the trade handy. This completely smooths out your communication process, and it may ensure that you don’t pay more for a house or property than you want to. When you are purchasing a new home it can be easy to look past some of the details and see only the big picture. For instance, you may not consider the significance of hiring an inspector or discussing who will pay for the home to be repaired with the sale of the home. Plus, an agent knows the right follow-up questions to ask a seller and seller’s agent. Are you new in town? If so, you may need a real estate agent to help you learn about your new home. Building a sense of community helps a buyer feel more welcome, and your agent will offer knowledge about the area as it applies to shopping, schools, crime, and other important factors that come into play throughout the course of your day. A real estate agent is a valuable resource, acting as the middleman between you and the sellers. If you are not represented by a real estate agent, the seller’s agent may offer to assist you. This is a good gesture, but a buyer’s agent will advise you not to do this. The seller’s agent is exactly that — for the seller. He or she will always put the seller’s best interests first. When you give your real estate agent your criteria, he or she will track down the right home for you. Your real estate agent will also get in touch with the real estate agent for the sellers, ensuring that you can make an appointment to come in and see the home. Plus, you get to miss out on all the phone tag, giving you time to pack and take care of business before a move. So, do you absolutely have to hire a real estate agent as a buyer? Not necessarily. Should you hire a real estate agent? Yes, especially if this is the first time you are buying a home. In fact, you may even want to meet several agents just to get a feel for what you want. Even other real estate agents recommend finding somebody to protect your interests. Are you a real estate agent looking for more ways to convince clients that you are the right fit for their buying needs? Continuing education can help. Contact us for more information about real estate courses. Realtors are occasionally tasked with trying to sell a house that has been called “haunted,” but is actually known as stigmatized in the world of real estate. The truth is that a buyer wants to know everything possible about a home before they choose to live in it or invest. Even if you do not believe in ghosts, your clients might. In addition to appeasing these clients, you may also be forced to work with disclosure laws depending on your state. When you see objects levitating or hear strange voices in a house, how do you sell it as a great family home? Are you trying to sell a house that has been labeled “stigmatized”? A home that is stigmatized is typically one in which a violent crime or suicide took place. These homes tend to spend longer on the market than homes without this label, and many buyers would be unwilling to pay full price for these homes. This is where your real estate agent instincts need to kick in. Do you live in one of the states that require you to reveal whether a home is stigmatized? If you fail to tell a buyer about certain events that have occurred in a home, you may be subject to a lawsuit. In other states, this is not the case. Even in situations like this, you must ask yourself whether it is your moral obligation to reveal information about crimes and perceived hauntings to a potential buyer. While the fact that a violent crime occurred in a home does not bear any weight on the home’s structural integrity, it does influence the value of the house in addition to the buyer’s ability to live comfortably. Let’s say that the house you are selling has a reputation for being creepy or haunted. Ultimately, there is a bad perception of the house even if you cannot prove that there is anything wrong with it. Depending on the buyer, you may want to consider playing to the rumor. In fact, some companies actually specialize in helping homeowners get rid of spirits. Some people genuinely feel that explaining to the ghosts that they are actually dead will encourage them to leave the house, removing unresolved feelings. In other cases, you may call on a priest or other religious figure to bless the house. It is up to you, the seller, and the potential buyer to determine what is appropriate for the sale of the home to occur. Of course, this may not solve the problem of so-called gawkers who have heard about the house’s sordid past. 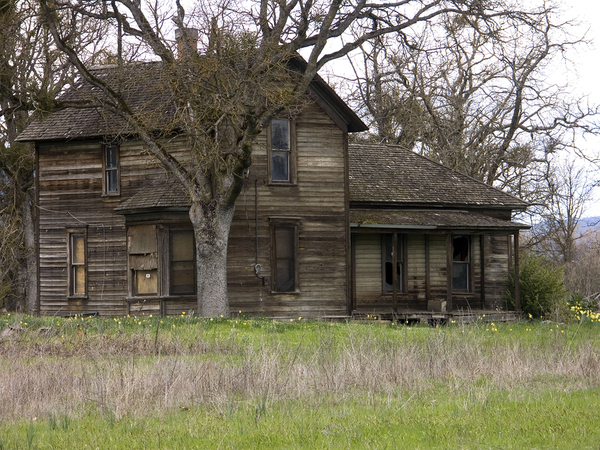 Does the house you’re selling look like this? You may have a few problems making it desirable — but it is totally doable. Some real estate agents will bring down the price on a home, making it appear to be an attractive investment. It could be that the buyer simply wants to purchase the property to tear down the house and build something more fitting to their tastes. This is not uncommon. Of course, there are also some people who are looking to buy a house for the story, ghost included. There is no need to fear having a stigmatized property on your hands. You can easily handle a “haunted house” when you are prepared for it. Continuing education is the key. Contact us for more information that will help you better understand laws and procedures regarding stigmatized properties in your area. Real estate agents, current and aspiring, are beginning to rely on the use of drones to market homes for sale. Whether you are interested in learning how to capture the best shots or are wondering if you need insurance for your new drone, these tips will help you make good choices according to regulations set according to the FAA and standards set by other real estate agents. When you use a drone to snap pictures and video of property, you want to give it the best appearance possible. Of course, you must also take into account the safety considerations that come with operating such a device. For instance, you should always fly within your line of sight, watching the drone carefully. Understand where your device would be considered out of bounds as you do. Finally, think about the weather forecast before you head out to shoot. Just as you would not fly a plane in terrible weather, you also shouldn’t use a drone in it either. 2. Buy insurance for your drone. While insurance may not be required for your agency to use a drone for real estate purposes, your brokerage may not already have liability protection that provides the security you need. If your drone causes damage or injury to somebody or something, the cost may come out of your pocket. 3. Consider the costs of purchasing a drone. Will you be using your resources wisely if you choose to purchase your own drone rather than to hire a professional drone photographer with real estate experience? Drones can cost just a few hundred dollars, but you must also factor in the amount of time it will take you to learn precisely how to put it to use. 4. 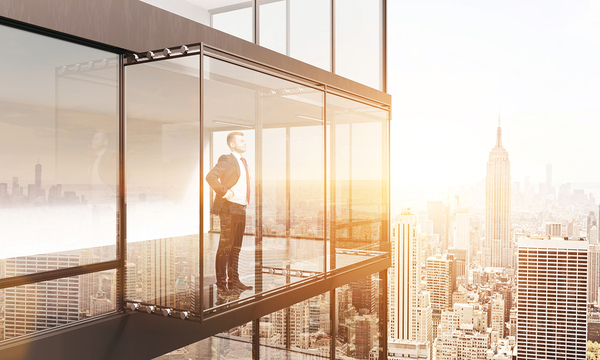 Think about the views your clients want to see. Your clients want to see the route their kids will take to get to school or the bus stop. They want to see where they will take the dogs to play and how they will get out of the neighborhood and to work. If you have a large parcel of property, drones can show off what cannot be easily seen from the ground. They can also share how close the property is from parks, community resources, restaurants, and more. Use Google Maps and Streetview to create a plan of action for when you arrive on the scene. Don’t forget to consider the position of the sun when you head out as well. Shadows and sunlight can severely impact the quality of your photos and videos. 5. Keep etiquette in mind. One of the first things you must remember is that you should never fly your drone over private property without asking permission. Additionally, you should never fly over groups of people or encourage anybody to play with the device because this poses an injury risk. Finally, do not forget to practice before using your drone. Drones are here to stay, so getting used to them will ensure that your business is too. 6. 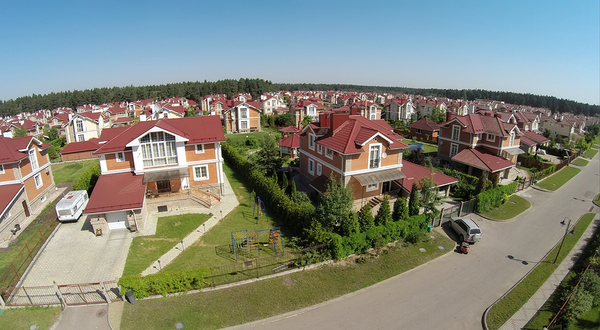 Understand the limitations of drones in real estate. There are some cases in which drones are not the best choice for your project. For instance, perhaps you need to take photos for a listing that will disguise some negative features of the yard until they are fixed. Perhaps the roof is not in its best condition, or the yard is very small. A stationary photo may offer the most flattering images in these scenarios. You may also run into a situation in which the interior of the condo or apartment is simply too small for a drone to provide a high-quality tour of the inside. Never rely solely on the drone for beautiful images and video. Both buyers and sellers benefit from your use of drones to take lovely images of the home and neighborhood. The best way to perform better than your competition is to provide a feature that they don’t. It is not an inspection of the roof that is going to pull in potential clients. It is the interior of the house and amazing views of the exterior. Most of your virtual tour should consist of the home’s interior, focusing on its most desirable features. Work through the home, beginning with the living room and ending with the basement or attic, if applicable. You can end with dramatic drone footage to show off the neighborhood and more, but you should not lose sight of what your clients want to know more about. 8. Drone photography does not end with filming. Post-production is an important component of creating resources for your clients with video. Editing your footage in post-production will make your video not only more interesting, but also more helpful. You can add captions or point out interesting features with a voiceover to add substance to the footage. Drones prove to be useful in a number of real estate situations, from tours of luxury homes to providing aerial views of expansive property. Learning how to incorporate drone photography can enhance your service, opening up to those clients distinctly looking for a company well-versed in advanced technology. Contact us for more information about learning how to take your business to the next level. Continuing education courses will help you learn more about drones as well as other incoming technology that will keep your business at the forefront. If you have thought about becoming a real estate agent, you have likely noticed that many have a string of certifications following their names. If you work with Accredited Land Consultants or Certified Distressed Property Experts, you will see a string of letters behind their name, like SRS or CDPE. These certifications indicate that somebody has taken a certain number of class hours or has passed a test in the given subject. So, when you become a real estate agent, should you also consider a certification? The answer is, it depends. The truth is that real estate certifications are not necessary in order to make a grand sale, but they may be helpful when it comes to targeting your ideal buyers and sellers. Of course, more knowledge is always helpful. Most properties do not actually require this certification because core education will cover a wide variety of topics. Still, it certainly does not hurt to pursue certification in an area you are interested in. Distressed properties differ from the norm, as they often involve foreclosures and short sales with different types of paperwork and submission timelines. There may be certain restrictions that do not apply to most properties. The training involved in Certified Distressed Property Expert courses will come in handy here. Luxury properties come with their own difficulties, and the targeted demographic differs from the norm. In order to develop a better understanding of clients with these needs, you should pursue the Certified Luxury Home Marketing Specialist certification. 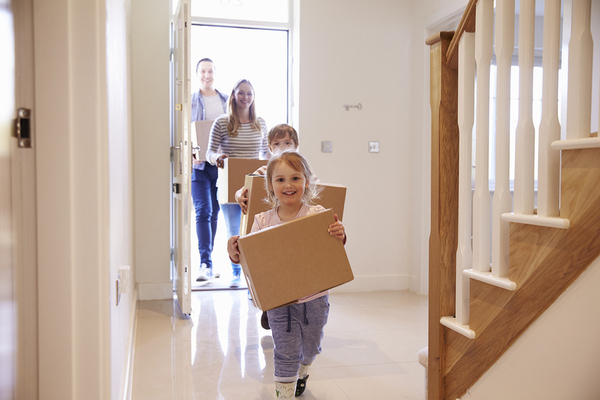 Many families relocate frequently due to the military, and real estate agents that work with these families must grow acquainted with certain types of paperwork and decisions. Becoming a Military Relocation Professional will help you instruct your clients on how to best learn about the types of support available to these families. The Green Resource Council offers a Green Designation through additional education. Real estate agents who have this certification will be able to easily find and market properties that are considered sustainable and environmentally friendly. Some real estate agents are trained in the best practices for handling seniors over the age of 50 looking to purchase new homes. With this certification, you would easily be able to help clients in the midst of retiring or downsizing. 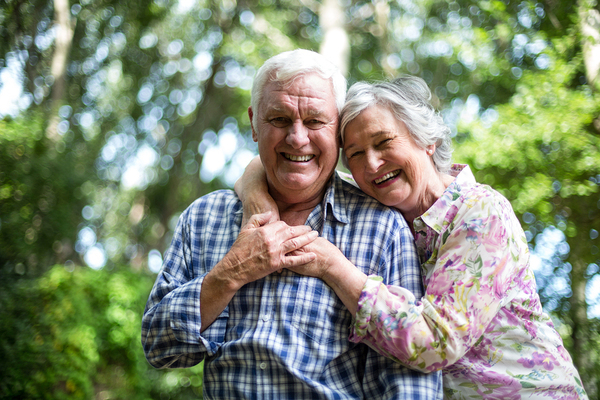 Seniors often have special needs when it comes to real estate, and it may be your role to guide them through a significant transition. An Accredited Land Consultant is trusted and experience in assessing portions of land. With this designation, you will be able to accurately auction, lease, develop, and manage plots of land. As a real estate agent with this training, you will also be able to analyze investments and help clients with the tax deferment process. In the end, certification can help you reach a niche audience. While it may not be a necessity, pursuing this extra education could be the key to opening your career to new opportunities and a brighter future. Contact us for more information about real estate certifications.